Microsoft Dynamics 365 for Finance and Operations is a solution built for complex enterprise organizations. 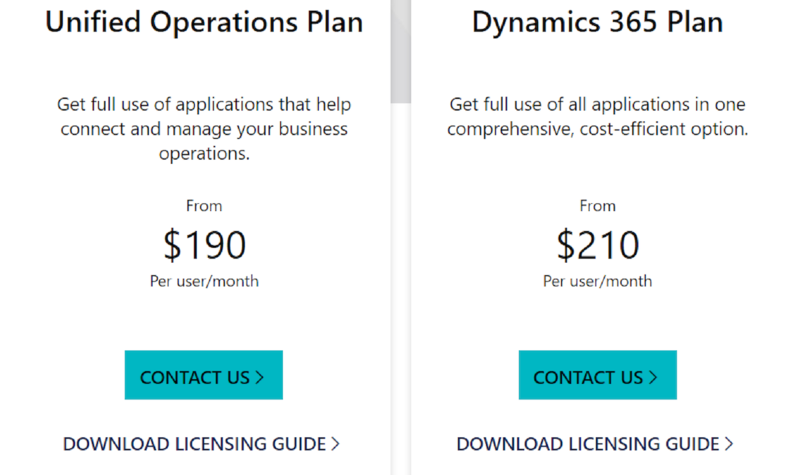 Dynamics 365 is perfect for organizations that could need a solution to support multiple lines of business, multiple locations or with a global presence. Deep functionality and configurable without customization, Dynamics 365 for Finance and Operations is a must see for any enterprise vetting new business software. At Clients First Business Solutions Texas and Minnesota locations Dynamics 365 for Finance and Operations & Dynamics (AX) is more than software, it’s a practice. We strive to deliver you not only the tools, but the support and functionality tailored to your organizational needs. What Makes Dynamics 365 for Finance & Operations More Distinguished Than Other Software? Know your companies needed next moves with Azure IoT Suite, Analytics, and Power BI. ERP, CRM, Excel, Outlook, and Word working together to make your job easier. Dynamics 365 fulfills your business needs for a united mobile solution that handles Customer Service, Field Service, Operations, Finance, Marketing, and Project Services regardless of the job function or industry sector while staying secure. Dynamics 365 allows your company to use just the functions it needs of this cloud software offering. Your business can easily adapt to changing needs while keeping your IT team more flexible. The use of 365 for operations and the ability to make business driven power apps, and flow (or workflows) allows your company to meet demands better. Nucleus Research recognized Microsoft Dynamics 365 as a Leader in their ERP Technology Value Matrix. 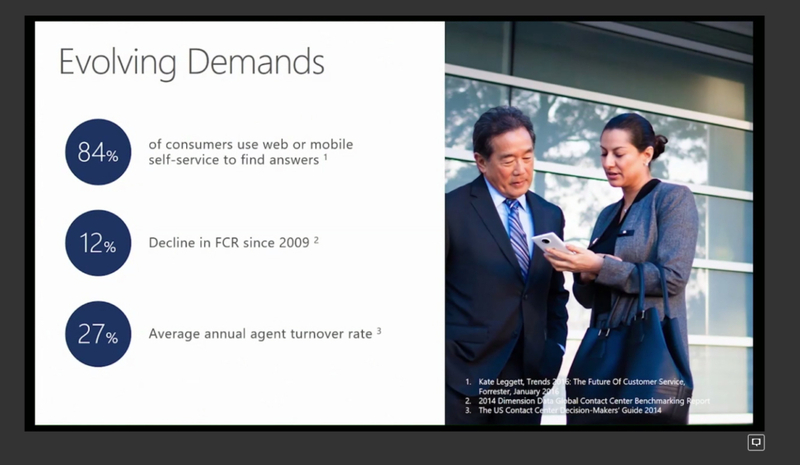 Microsoft is also a leader in CRM and Productivity Tools. Having Microsoft technology ensures a long future with billions invested in development. Your business future can depend on Microsoft technologies. 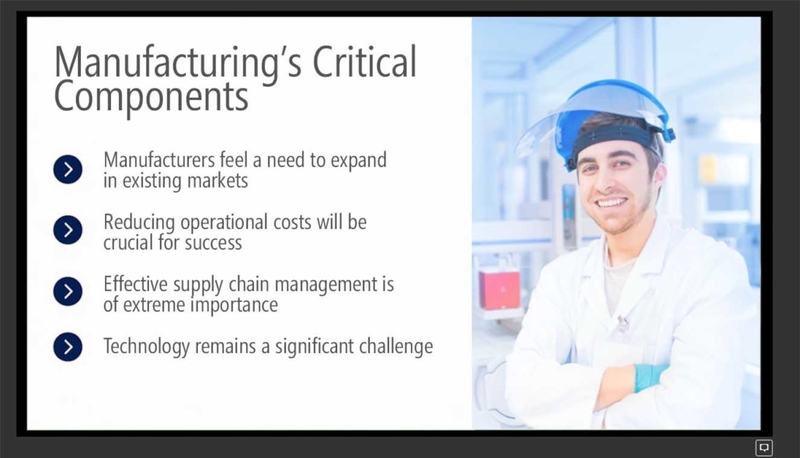 Dynamics 365 for Finance & Operations can help manufacturing grow into new markets with advanced analytics. The cross department visibility accelerates product introductions. All while reducing operational costs through being able to monitor KPIs to the minute and by simplifying production floor management. Dynamics 365 meets your expectations for effective supply chain management with global transportation-planning and freight reconciliation. This helps you provide the right customer experience at the right price. Take our guided tour of Dynamics 365 Finance & Operations. The new cloud software can also increase productivity as 40% of a worker’s time is lost when switching between tasks, Dynamics 365 simplifies your job and employees jobs through Workspaces. This productivity waster costs the global economy $450B per year. 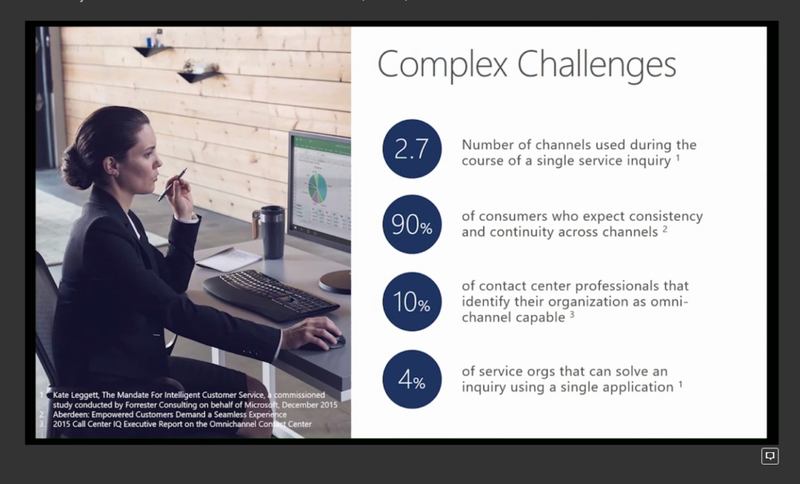 Dynamics 365 Enterprise Edition for Operations can help you meet customer expectations and help resolve the staggering statistics on how many touch points and channels a consumer needs to get a problem solved. A connected CRM like Adobe Marketing Cloud can increase first call resolution, and make your organization stronger through less turnover. 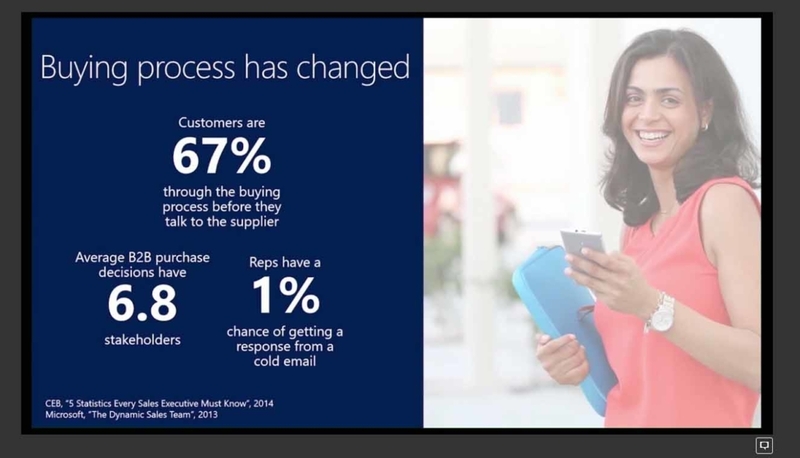 Dynamics 365 Finance & Operations shortens your companies sale cycle through BI and Machine Learning by making you more aware of trends, and analytics. Dynamics 365 Finance & Operations is one unified solution. The cloud software enables companies to transform business processes faster based on accurate real time metrics and key performance indicators. In other words, you can see and fix what is working, and what is not working, and innovate to stay ahead of the competition. Dynamics Finance & Operations handles almost every business need from anywhere, at anytime. Capture and analyze untapped data to improve business results to remotely monitor your products and save money with predictive maintenance. Power BI is an analytics solution that is available to be used by your whole organization and gives you tools to transform, analyze, and visualize data. Share reports in seconds with your organization using Power BI on the web. Look for our apps to be added later like our warehouse app called Upick, sales apps, and ProMRO. PowerApps can be used on Android or IOS to use and share custom-built apps with your team and organization. Custom built apps can be made by you and your team without writing a single line of code. Connect to Microsoft PowerApps, then publish to you organization. Flow allows you to create automated workflows between your favorite apps and services to get notifications, synchronize files, and collect data making you more productive. Why plans versus Applications or Apps? Talent helps enterprise companies hire, develop and retain professionals by empowering your HR team and managers. Adobe Marketing Cloud for Dynamics 365 Finance & Operations, gives customers a powerful, comprehensive marketing service for Microsoft’s next generation of intelligent business applications. The Adobe Marketing Cloud extends Microsoft’s CRM capabilities so that customers can create enticing, data-driven customer experiences across multiple channels. Our expert sales team can guide you through the licensing needed for your business. Give us a call or email to schedule a discussion – 800.331.8382 or info@cfbs-us.com. Dynamics 365 Finance & Operations, the game changing ERP solution, introduced by Microsoft needs to be implemented by an experienced Cloud Solution Provider like Clients First. We have been leveraging the power of Dynamics 365/AX since it was called Axapta in 1999.